As with the main True Believers Event, we will have a great selection of tables selling actual comics! Our Small Press line up on the day features Andy Bloor, Nick Prolix, Sarah Millman, Time Bomb Comics, Beyond The Bunker, King Legacy, The Psychedelic Journal, The Inheretic, techibears.com, Wiggly Pet Press and The Etherington Brothers. And if that wasn't enough, Pipedream Comics will be there with their small press focused magazine The Pull List! Not only will we have all that small press goodness, but we'll also be joined by Proud Lion, Rocks Comics, Neal Clutterbuck and RNG Comics, who will all be selling new and/or back issue comics, so it'll be the perfect time to try and plug the gaps in your collections too! 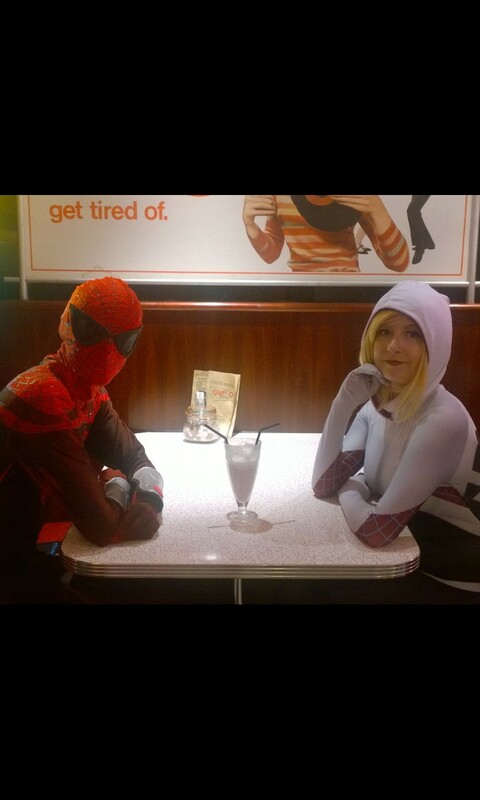 It's not a True Believers jam without a bit of cosplay to bring some extra character to the event. 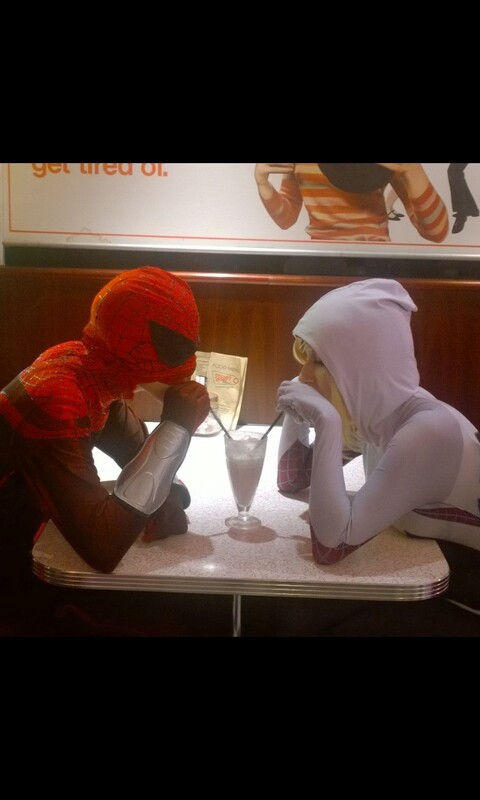 We'll be joined by some of our regular cosplayers, who will be coming along as some of your favourite characters from the world of comics and hosting a couple of cosplay workshops too. 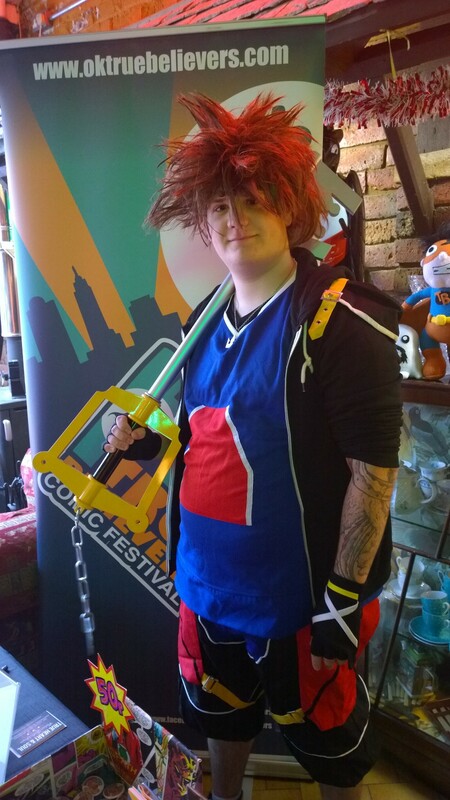 So if cosplay is your thing we invite you to break out your costumes, bring your cosplay along to the event and maybe take part in our cosplay group photo too (if you fancy it). We will also again be joined by the fantastic Fiona Lord Photography, who will be on hand to get some photos of you in your cosplay! As well as all of the comics at the event, we will also be joined by Chris Baker, Ian Blakeman, Matilda Dawes & Nhizyr, Mango Dragon, PhaseChan, Nick Gribbon, True Heart & Soul Design Studios, Twisted Art, Explosive Barrel and I Am Zoot, who will all be selling a great selection of the art they have created. And if that wasn't enough creativity for you, why not ignite your own creativity and stop by one of the panels we'll be holding on the day and hear from some of the creators how they made their stories happen. If you feel like being creative on the day, why not stop by one of our all-ages workshops (full details coming soon) or our Draw Something Sunday table and create some art of your own? Who doesn't love walking away from a con with a collectible or two? Whether it's some new shelf candy, apparel or even a tabletop game or two, you'll probably find what your looking for at the tables of Proud Lion, Marvelous Man, TTT Gifts or Square Orange Games. And if you prefer our collectibles of the more edible, cupcake variety then why not stop by the Missy's Cupcake Emporium table? As with the main True Believers event, the Summer Variant is about coming together to celebrate the medium of comics and our shared love of them. As well as comics, we'll also be celebrating 40 years of Star Wars (our other love) with the help of The Joker Squad and the Cheltenham R2-D2. 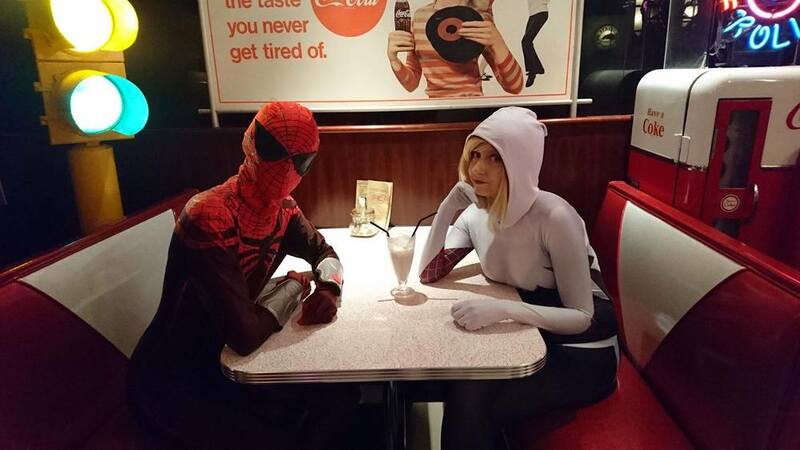 One of the best things about True Believers (and any event like it) is the way that a community comes together to celebrate the thing they love with friends, old and new. Whether it's meeting and talking to the creators, artists, traders & cosplayers or using it as a place to spend time and hang out with friends at the event. By buying your tickets and being a part of this event, you'll be doing your bit to help us raise money for the Sue Ryder Leckhampton Court Hospice. We'll be giving at least £1 from every ticket sold to the charity, as well as running some charity auctions on the day too. So buy your tickets now from our ticket page and not only will you be a part of something awesome, but you'll also be helping us to raise money for an awesome charity too! The True Believers Summer Variant Edition will take place at Blackfriars Priory on Sunday 20th August 2017 between 11am & 4pm. Tickets are just £5 each, with children aged 12 and under getting into the event for FREE (when accompanied by a paying adult). You can be kept up to date on all information about the event by following the event page of Facebook or keep checking this website for news. One of the fun things about being a nerd is playing a game of Fantasy Casting. Way back in the day, Wizard Magazine used to devote a few pages of it's issues to the game. It was something that I enjoyed discussing with my fellow nerds (sometimes leading to heated - but good natured - arguments as we defended and argued each others choices like Hollywood executives with an unlimited budget). Recently the game reappeared in my life when my fellow writer Susan Omand posted an article on Garbage-File, picking her preferred cast for a Star Trek: The Next Generation reboot. While I liked her choices, I didn't agree with them, so decided to come up with my own, which sparked a fun conversation. And Hello To Jason Isaacs! NEXT TIME: Stuart casts his Superman TV Series! 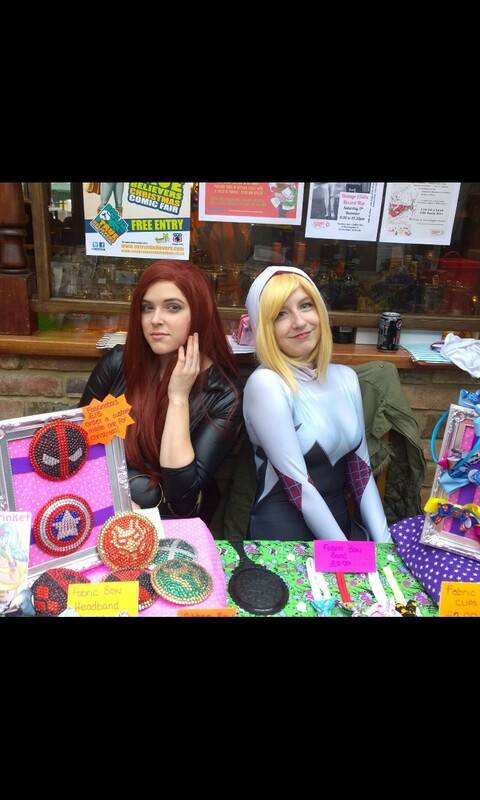 Saturday 11th June 2016 saw True Believers invade Eastgate Shopping Centre in Gloucester for our first ever Mall-Con. 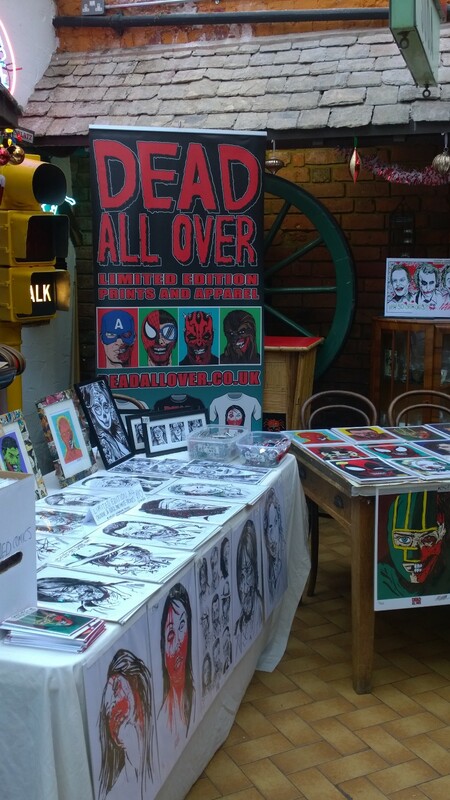 The event saw 13 tables of artists, creators and traders bringing some comic book awesome to Gloucester for the day. All of the folks who had a table at the event and took a chance on something new. All of the folks from Eastgate Shopping Centre for allowing us to put the event on and for all the help on the day. Gloucester Guild Hall for the extra tables for the event. The staff of A Write Card (Gloucester Branch) for getting involved by dressing up as Disney Princesses and running a promotion on their balloons. All of the folks who came along to check out the event and buy something from the folks who had tables. The support of all of you is huge in helping us make nerdy events like this happen and with your continued support, we plan to do our best to make more things like this happen. You are all True Believers and we love you for it. Below are some photos from the day, including the collector's item first appearance (in the flesh, so to speak) of True Believer Man! So it's been almost a month since #TBCF2016 invaded Cheltenham Racecourse for a second year and, a couple of glitches aside, the day seemed to go really well and we received a lot of great feedback and comments from a lot of you. Your support means a lot to us and is the driving force that keeps the event going. Without you, there is no True Believers and I and all of the Agents would like to say a huge Thank you to you all for making the day another amazing experience for us all. If you can't wait until 2017 though, we will have a few events running throughout the year, the first of which being the first True Believers Mall-Con, which is a mini comic con event that will be taking place in Eastgate Shopping Centre on Saturday 11th June 2016. It's a free to enter event that will have a selection of tables selling art, small press comics, back issues, merchandise and more. We are GYGO Fashion, a brand new geek brand specialising in geek wears, costume design and ready to wear. We are the one stop shop for all your geek needs. People will find a great selection of Jewellery, handmade clothing, costume accessories, steampunk wears, cosplay pieces and much more. We love geeking out, it's amazing when we meet people at shows who love the same things as us it always results in a huge geek show down of love. Making our ideas come to life is also a huge achievement of ours, we love showcasing our wears to people who love them. Deadpool Kills the Marvel Universe. Be sure to check out the GYGO Fashion Facebook Page and stop by their table at #TBCF2016 and say "Hello"
I’m Steve Collier. I’m a writer and human with zero superpowers. I co-created "Kaiju Steel,” with artist, Lee Killeen (issue 4 in the works) and “The Mystery Boys” with artist, Andy Clift and am working on getting brand new title out there. Always looking for artists! ;) I also write for the screen. Mostly dark horror comedy stuff. I took a year off to go travelling so 2016 marks my return to the con floor and creating proper. First of all, if I’m not using the loo, me so sorry about that. A few empty coffee cups, chocolate bar wrappers… oh yes! Comics! Lovely "Kaiju Steel” comics in which you’ll get to follow our hero, Scott as he deals with Kaiju attacks, mystical swords and destiny. We’ll be doing a deal: the first 3 issues of “ Kaiju Steel” for £10. And there’s more! If you pick up the 3 issues for £10 deal and write down your email address, we’ll throw in a link for a free download of a two page prequel which has only appeared in a special "Dead Universe: Year One” anthology book- currently out of print. The short story has links to future issues so you don’t want to miss it. Great art by Lee. Writing, especially comic books, is the greatest excuse to create anything your imagination desires. When I sit down to write (with a coffee- there’s a theme here), usually the plan I had for the script changes organically. That sounds slightly pretentious but I love being surprised by a character when I realise they’re dictating to me how the story develops. The effect is even more astounding when the art comes back from the (significantly more talented) artist and reveals some new elements to the story you hadn’t even thought of. The collaborative process of creating comic books is one of constant excitement because you never really know how different the end result is going to be from the original concept. For instance, there are many times while writing "Kaiju Steel" or "The Mystery Boys" when the dialogue would change at the lettering stage purely because it made more sense in conjunction with an expression or action the artist had put down. It’s a fluid process and I like that. With film, you have to write to various logistical and budgetary constraints (unless you’re James Cameron) so it’s quite a freeing form. I have to admit I arrived quite late on the comics scene in collector’s sense and perhaps I still wouldn’t class myself as a “collector" per se. I like what I like. I read a bunch of "Teenage Mutant Ninja Turtles," "Spider-Man" and "The Beano" as a kid. I guess the first one I had to read on day of release every week was the excellent "Sonic The Comic” or “STC." That book ran for well over 100 issues in the UK and was kind of an anthology book collecting stories from various Sega characters. Sonic, Decap Attack, Shinobi… The art, character design and storytelling was incredible and the pinups plastered the walls of my room for years. The writer/ artist team ups between Nigel Kitching and Richard Elson are phenomenal. It still runs online by fans and I have a dream of having something Sonic based made eventually. I absolutely hate that I got rid of those comics. Little did I know what I would eventually do later on in life! After that title ended it was many years later until I returned to comics after discovering “Powers" by Bendis and Oeming. It was unlike any book I’d ever read and I still love it to this day. The letters pages and script excerpts in the back were both hilarious, invaluable, and tight me a lot about pacing and dialogue structure. The deluxe collected editions are some of my favourite books on my shelves. If you’re a kid and reading this, don’t even look at this title until you’re at least 15 though! "Usagi Yojimbo" by the insanely talented Stan Sakai would be my other favourite. That’s series is, in my opinion, probably the finest example of long running storytelling, adventure, mythology and character and it’s been going since 1984! What a guy. "TMNT," both the old collections and new, brilliant IDW “TMNT” titles are also still a big part of my collection and are one of the main reasons I attempt to do what I do. Wow! Tough question. There are people I know who are far more read than I am who would have a better opinion than me! I’m not sure about ever but I’ll tell you something I read recently that I really enjoyed. As a Star Wars fan, I was really excited to read the new Marvel titles based on classic characters. I thought the “Lando” limited series by Charles Soule and Alex Maleev was great fun. The writing really understood the character, the art was gorgeous and consistent and the ending was really satisfying. I’m not putting this above ever other comic out there but this title could have been a massive failure and actually turned out to be hugely enjoyable. Special shout out to everyone involved in Dead Universe Publishing who put out my books. Great bunch of talented humans. Now where’s that coffee..? Be sure to check out the Kaiju Steel Facebook page and stop by Steve's Table at #TBCF2016 and say "Hello"
My name's Philip Davis and I'm a Cheltenham-based digital artist. I undertake commissions for portraiture and technical work and draw Creature & Animal! I did a handful of comicons last year and True Believers 2015 was my first one! Lovestruck aliens and bright colours. Signed prints, mugs, T-shirts as game and a raffle with several prizes. Come and say hi! I'd probably go a bit crazy if I didn't have a creative outlet, so probably the process itself. I enjoy thinking of new ways to torture Animal... does that make me a bad person? I enjoy the sense of achievement when I finish a piece, and it's always nice when a perfect stranger takes the time to look at your stuff and compliments you on it. The Beano! A British institution. I also love 2000AD an in my teens collected several X-Men titles, which I still enjoy reading. Wow difficult question. There's so much good stuff out there. I love the Beano's classic Calamity James, I loved the X-Men Onslaught and Age of Apocalypse arcs. Anything by Matsuda, Campbell, Turner or Madureira. There's also some great talent in Europe. A special mention to Frank Cho's Liberty Meadows too. That guy's draughtsmanship is off the chart. Be sure to check out the Creature & Animal Facebook page and stop by Philip's table at #TBCF2016 and say "Hello"
I am a writer, working on my own comics as well as creating content at London's Southbank Centre. I published 4 comics in the ongoing Street Fighting Women series (a thriller set in the 1920s in the world of Women's Wrestling which I also drew) and collected them into one graphic novel with more on the way! I will be selling Street Fighting Woman Part 1 as well as a series of prints based on frames from the comic. I will also be offering to draw inked portraits on the day. What I like best about what I do is finally getting all the crazy out of my head and onto the page! And if someone says they like what I do then that is the icing on the cake! Please read all of the original 70s Howard The Duck issues by Steve Gerber! Those comics are funny, dark, sardonic, satirical and very well drawn by the likes of Frank Brunner and Gene Colan. Be sure to check out the Kloob Komics website and stop by Steve's table at #TBCF2016 and say "hello"
JH - Hi I am Jake Heddershaw, and I am currently a third year Graphic Design student, I have a heavy interest however in illustration and chiefly concept art, which I plan to move into as a career in my future. GS - I'm Gabbie aka handscribbles I'm an illustrator and fledgling comic book artist! I work mainly traditionally with ink and enjoy expressing narrative with characters expression and paneling. JS - My full name is Jaime Louise Staite, but online I am known as Fyreflysky. I draw mostly fantasy and animal orientated stuff, including characters from original series that I like. My art is mostly watercolour or digital. I am best at character design and creating interesting situations for my characters to be in. I also love to do fanart, such as changing mainstream human characters into animals and dragons. JH -Mostly prints, including some fan art, alongside some type work and my own concept art that I am currently working on. 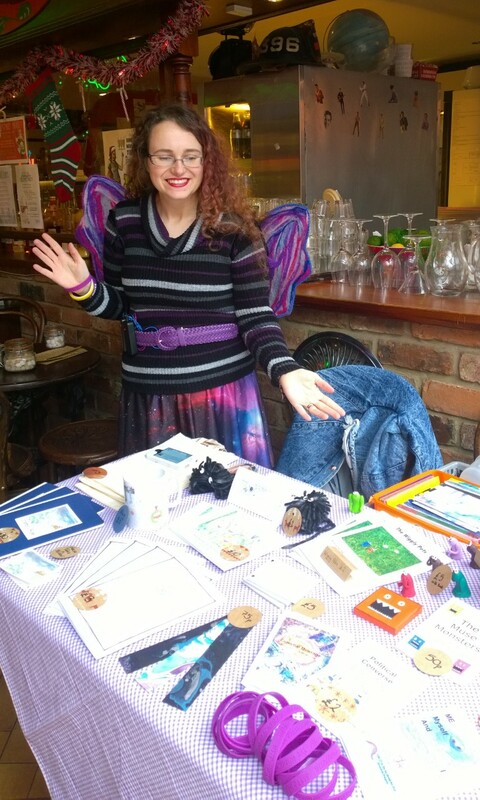 GS - Short handmade comic books, original prints and some fan art prints too and of course a friendly face to chat with! JS - You can expect to find bookmarks, prints and cards, and maybe small booklets. JH - I love breathing life into characters and locations, bringing something from my mind into the world to share with others, hopefully something they enjoy too. JS - Designing characters, worlds and situations. I love story oriented art with lots of colour and fresh designs. JH - The first comic I collected was probably the Mouseguard series by David Petersen, the first comic book I bought was probably NYX, an X-23 graphic novel. GS - The first comic I collected was Deadly Class volume 1 which was embarrassingly not that long ago! It was quite a turning point for me because I had been more into manga the years before that and didn't know the comic medium was more fitting with the work I wanted to produce. JS - The first ever comic I bought was a manga called ‘Blue exorcist’ by Kazue Kato. The first western series I collected was the ‘Mouse guard’ series by David Peterson. JH - Definitely Mouseguard, absolutely fantastic art and story, with delightful characters and a wonderful immersion into a world where everything is bigger than you. GS - WicDiv no doubt about it. Fantastic idea and just such an immersive story! It's my dream to create something that original and game-changing... or just anything that people like half that much! JS - ‘Mouse guard’ for its intriguing plotline and characters. It is easy to read and get into, and the mythos surrounding the mouse territories will captivate readers both young and old. If you like anthropomorphic mice carrying around swords and daggers, wearing cloaks and going on adventures through a dangerous world, then this is a brilliant series for you. Be sure to stop by the Hand. Drawn. Fyre table at #TBCF2016 and say "Hello"
At the time of posting this, there are just two Saturdays between you and True Believers 2016 and that means it's time to start planning your day. We'll be posting the full panel and workshop details later, but to get things started, here's the map of the table plan for the main festival floor along with the list (in alphabetical order by Exhibitor, Trader or Guest). My name is Jess and I design and make geeky acrylic jewellery for my company snikt and bamf. People can expect to find a wide range of comic, science fiction, and gaming inspired laser cut acrylic jewellery and homeware. All designed and made by us. My favourite thing about my job is that it allows me to really indulge my nerdy side. I spend my time reading comics and watching films for inspiration. It also means I attended a lot of comic conventions as a trader and through that I've met some amazing people from fellow traders and cosplayers, to organisers, artists, and celebrities. What's not to love? The very first comic book series I collected was Neil Gaimans sandman series. They're what got me into comics and k still love them. A comic I would recommend is one that I'm currently re-reading, The transmetropolitan series. Be sure to check out the Snikt & Bamf website and stop by their table at #TBCF2016 and say "Hello". We will have for sale the printed graphic novel as well as the digital versions on display on our iPads for anyone to flick through. We also have available 2 poster designs of the most popular pages from The Inheretic as well as stickers and leaflets. Drawing! We are both Illustrators in our day jobs and our spare time. When we’re not drawing we spend our time thinking about drawing. We use our comics as a vehicle to illustrate in every style we can. Commando. War comics. Wonderfully crafted illustrations, a real inspiration. From a time when men were men and drawings were drawings! Well we’ve already mentioned Commando, so in order for you not to think we are stuck in a rut, how about Modesty Blaise. Written by Peter O’Donnell and illustrated by Jim Holdaway. Be sure to check out The Inheretic Facebook page and stop by their table at #TBCF2016 and say "Hello". Puppy: My name is Heather, I’m a Furry Artist, specialising in digital artwork, as well as fursuit craft, plushies, cross stitch, and anything else craft wise I can come up with! Puppy: Handmade Plushies, Cross stitch charms/keychains & Yarn Tails. Puppy: Coming up with new designs / patterns or brand new ideas that I can make into a craft product. Puppy: I think it was Akira. Puppy: Wow, I think mine was even earlier than that! Puppy: With The Light, it's a slice of life manga about a woman in Japan growing up with an Autistic child, in an era that didn't quite know what it was yet. It's a fascinating and heart-warming read and currently have 6 volumes of it. Kanjou: Can I say Touhou? Puppy: What about No Game No Life? Kanjou: No Game only has one volume so far; plus, it’s originally a novel series, not a manga. Pandora Hearts is certainly the series I have the most volumes of, and I love the story so much! Be sure to check out Heather’s website, Blake’s Twitter and stop by their table at #TBCF2016 and say "hello". Along with evrything you loved about last years True Believers, this year we'll be adding our Celebrate Tabletop Gaming area up on the balcony area. The area will be run by Proud Lion, who will be demonstrating a selection of games on the day across 7 tables. Whether you're new to the world of Tabletop Gaming or have been playing for years, there is sure to be something there to inspire you dive into the world and Celebrate Tabletop Gaming! There will be more information on what games will be being demonstrated on the day soon. We're delighted to announce that Gloucester based Caricature Artist Tony Marriott of Tony's Toons will be at True Believers 2016 doing special 'On-The-Spot" caricatures to raise money in aid of Kidney Research UK. So for a suggested donation of just £10, you can have a fantastic caricature of yourself as your favourite hero or comic book character (or just of you, non-comic related caricatures are available) for your wall and know that all of the money you paid for it is going straight to charity, making you a real life superhero! Q) How did you become a Caricature Artist? A) From enjoying drawing celebrities and my family in my spare time and then jumping straight into it by hitting the street markets in Cheltenham after being made redundant from my job. A) The reactions I get when I turn the paper around at a live gig. The smiles and laughter are why the job's so enjoyable. Q) What, if any, has been your favourite moment so far from your time doing caricatures? A) By getting the chance to meet one of my comedy heroes - Rik Mayall a few years back and presenting him with a 'Bottom' caricature illustration! 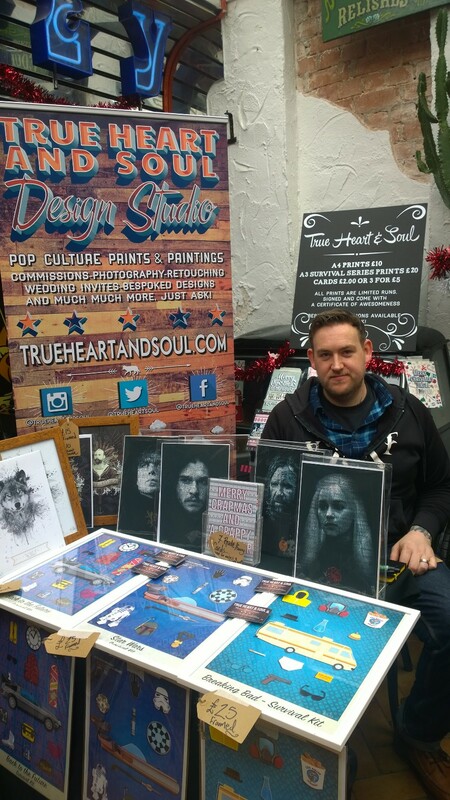 Q) At True Believers you’ll be doing caricatures to raise money in aid of Kidney Research. What made you chose that charity? A) My father was on kidney dialysis for many years and friends of mine have also had health issues linking to kidney failure. All the money raised by visitors to my area on the day - who have a caricature created - will go towards this great charity. Q) Who, if you have one, is your favourite comic book character(s)? A) Got to be Batman for me! Be sure to check out Tony's Facebook Page and stop by his station at #TBCF2016 and get yourself a caricature for charity. 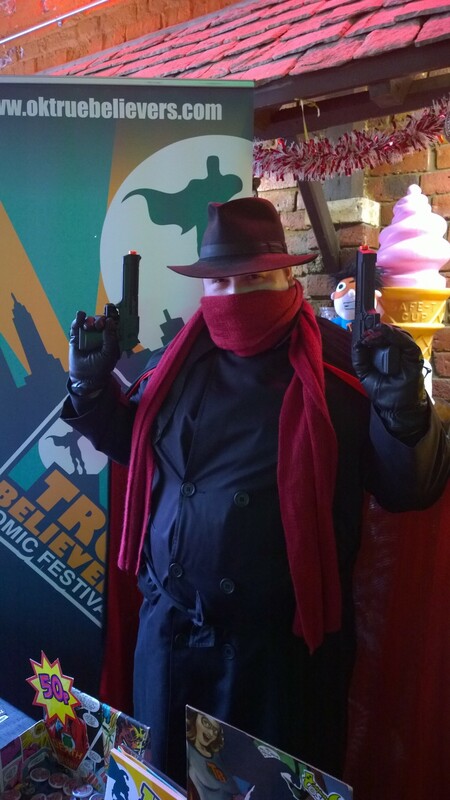 The Comic Conventions UK annual poll to find the UK's Comic Convention of the year is back and this year True Believers Comic Festival 2015 is a contender. There are a lot of great cons out there throughout the year, so picking your favourite is tough, but if there is a possibility that True Believers was your favourite (or even your least worst experience of the year) it would mean a huge amount for all of the people who have helped to make the event happen (both in the organising and running on the day and all of the folks who have supported it). None of us are expecting to be at the top, but to not be on the bottom would be great. At the same time, if there was a comic con that you enjoyed more than True Believers, please take the time to give them a vote instead. If you have a couple of seconds spare, you can vote here. I am a comic artist and writer, as well as a part time fan artist. My table will be filled with promotional prints from both my hobby and fan art parodies such at "Metal Gear Ferret" and also an exclusive teaser booklet of the first 10 pages to my new graphic novel. I will also be taking sketch commissions for borderline anything you ask of me. The favourite thing? A hard one to choose. I think that has to be the fact that I discretely take the mick out of pop culture and tropes on my writing of my graphic novel. My first comic that I collected was I believe Sin City, I love how the drawings and the subject matter compliment each other, and it is fantastically written. I think it has to be Outcast by Robert Kirkman. Mainly because I feel people know so much about the classic favourites - and this newbee has had me hooked since page one. Be sure to check out Kariss' website and stop by her table at #TBCF2016 and say "Hello"